Why do experienced landlords who know how to screen tenants still get bad ones?They understand the rental housing industry, have a system of tenant screening, have a good rental application, have access to get credit reports, charge screening fees, and more, but for some reason still find themselves in eviction court! Why? In order to secure a good tenant for your rental, it is critical that we practice proper tenant screening, but it is also important to understand some of the Secret Facts of Tenant Screening. Fact # 1:You are screening ALL the time! Most people think that tenant screening is a quick little investigation starting with a rental application and ending with an approved credit check. Not true! A full screening begins at the point of First Contact when the tenant first responds to your rental ad. It continues through the showing process, the application process, the verification process and the review process all the way through to the very end of the lease signing process. At any time during this entire period, a landlord may find a reason to disqualify a prospect. Fact # 2: All tenants feel they deserve as much as they can get from you. Fact # 3: You can count on predictable responses during the screening process. I usually try to get prospective tenants to show their “true colors” as early as possible. This is an enlightening and time saving practice, whether it is positive or negative. 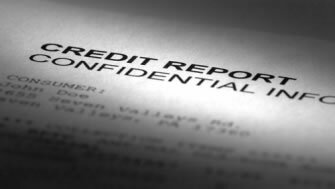 By mentioning that a credit check is required or that the management reports rent payments to the credit bureau, you may get an idea of how the prospect feels towards his or her credit. For example, sometimes asking for pay stubs or tax records can ruffle feathers or not. Power or Leverage Who has the power? Who needs to rent fast or who needs a tenant fast? Do you have something the prospect can’t find anywhere else? Information / Knowledge Know who and what you are dealing with can determine whether you have a successful rental or not. You must know what is in your lease agreement and what your prospective tenants can handle, and if they will earnestly be able to perform what is agreed. Time If you are in a rush to rent, you may not be able to stand firm on your price. This is an important negotiating factor. One month either way equals a month of rent either in your pocket or not in your pocket. An uncooperative applicant is a MAJOR red flag! Income Will the rent be paid? Do they have the income needed to comfortably cover all their bills, living expenses plus the rent? Timing If you find the perfect tenants who want to move in 6 months while your rental is ready now, will you wait? Probably not, but sometimes it could be worth waiting a reasonable amount of time for the right people.